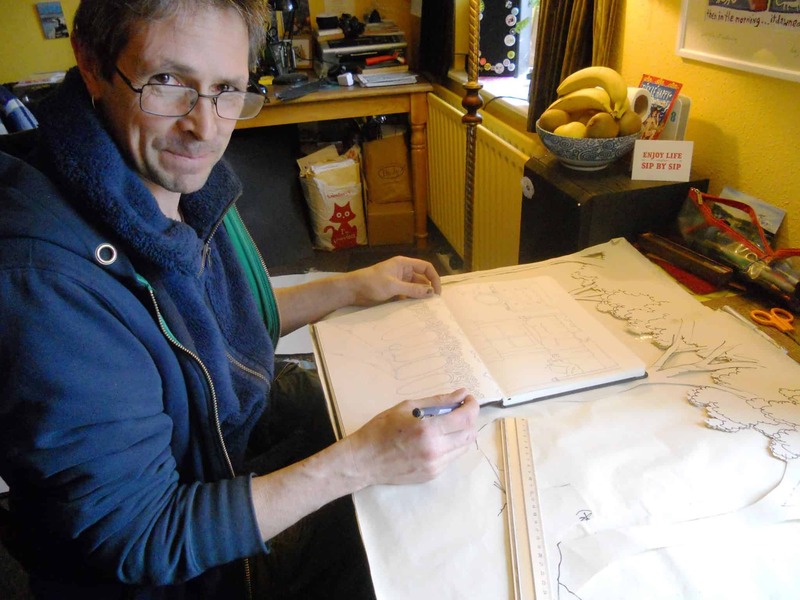 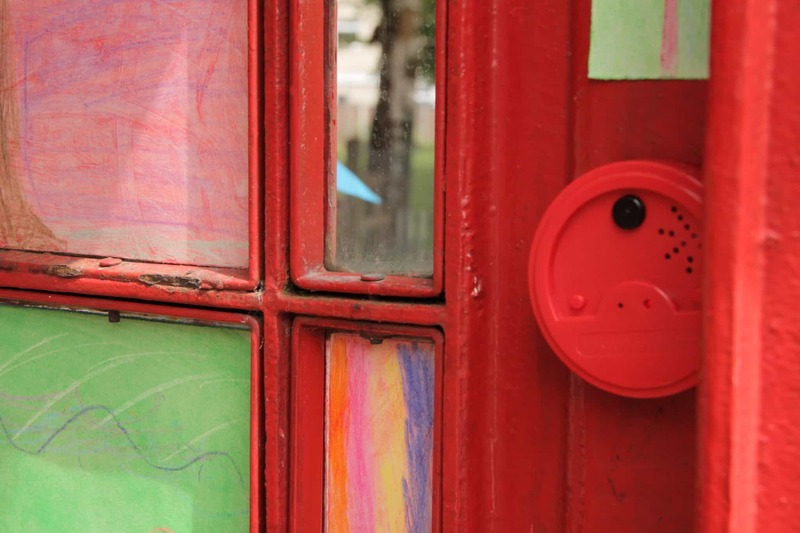 Members were invited to apply for a £400 innovation fund to produce new work. 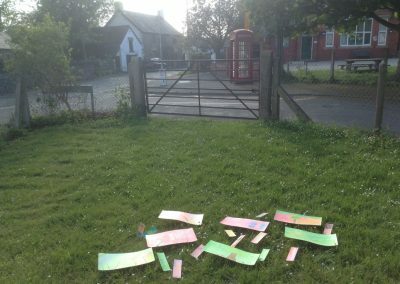 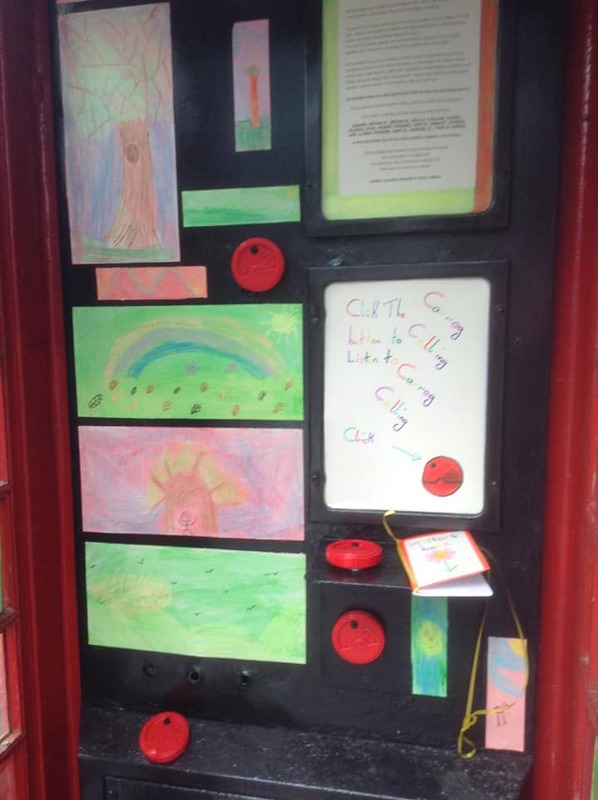 Artists Lorraine Mainelli and Fiona Collins worked with the village’s thriving Cub Pack, which is made up of over 20 local children between 7 and 11 years old. 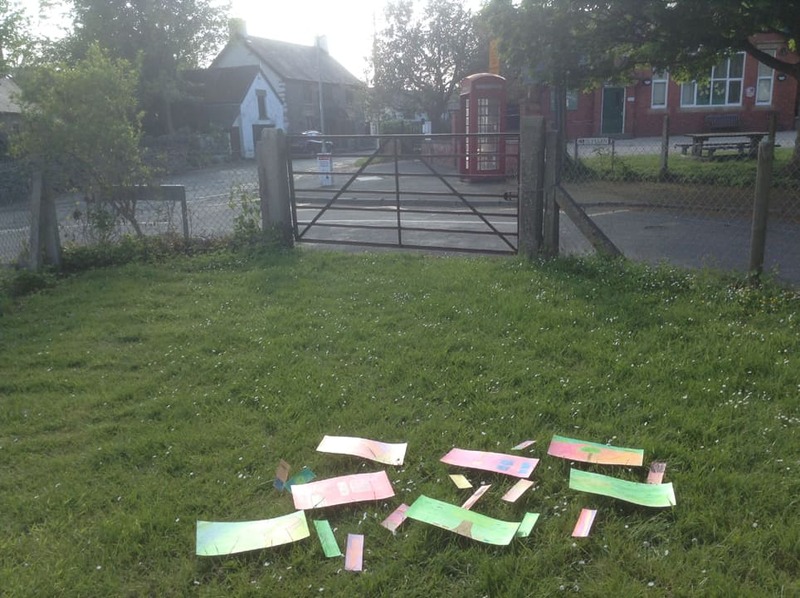 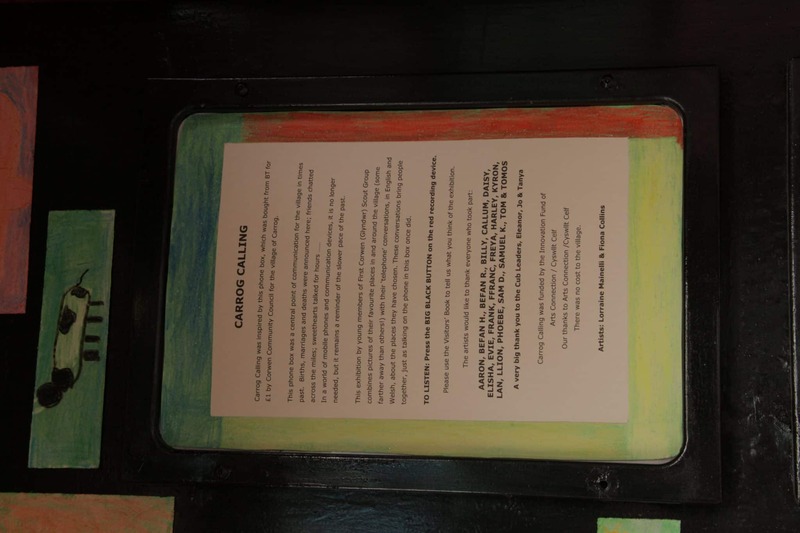 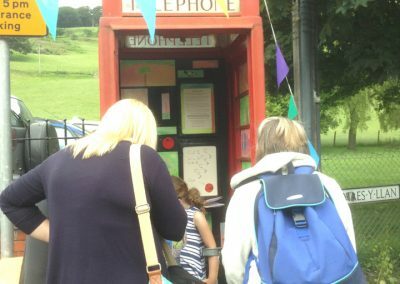 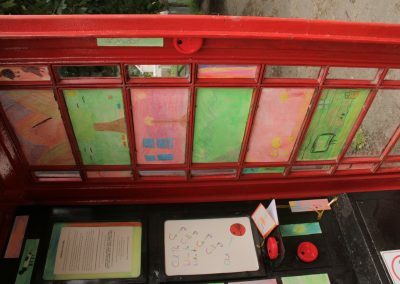 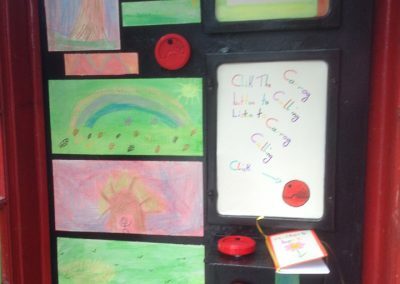 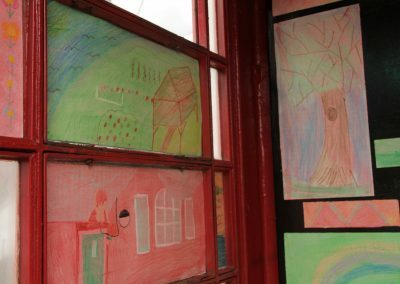 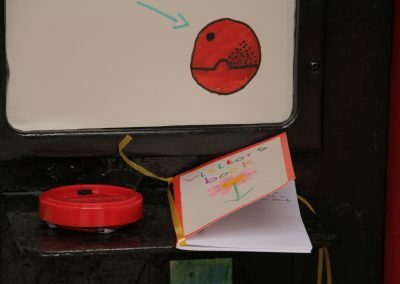 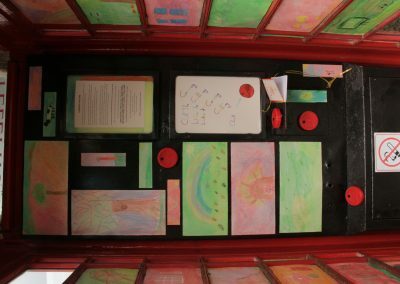 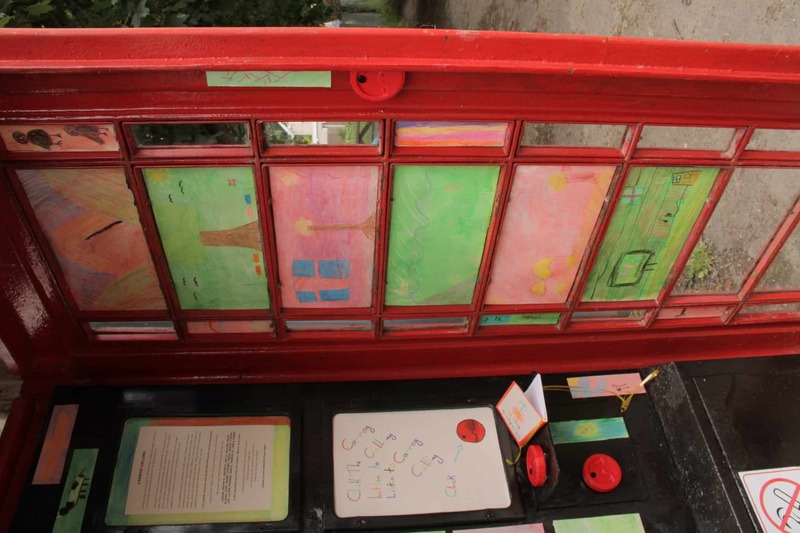 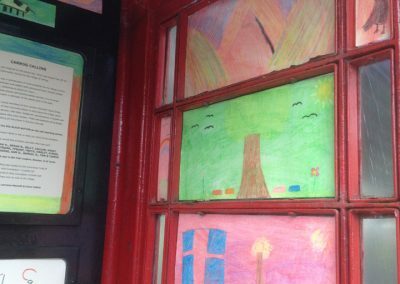 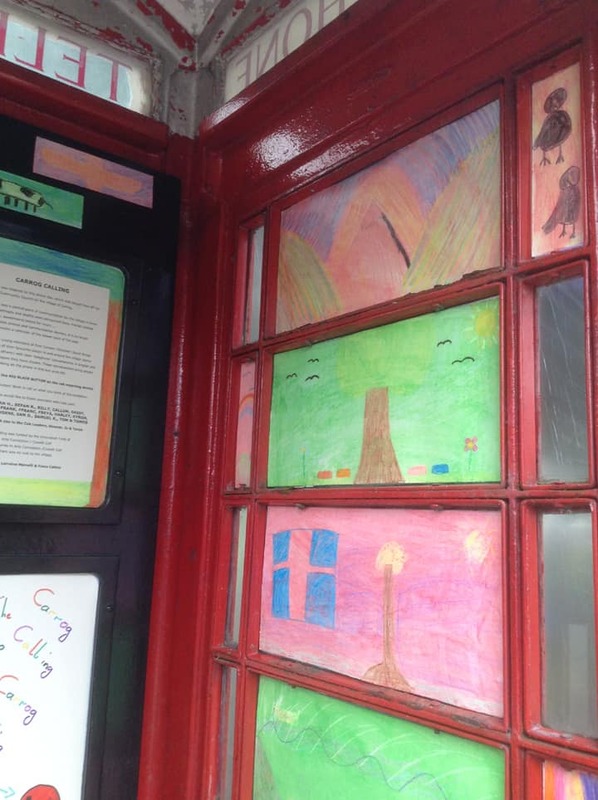 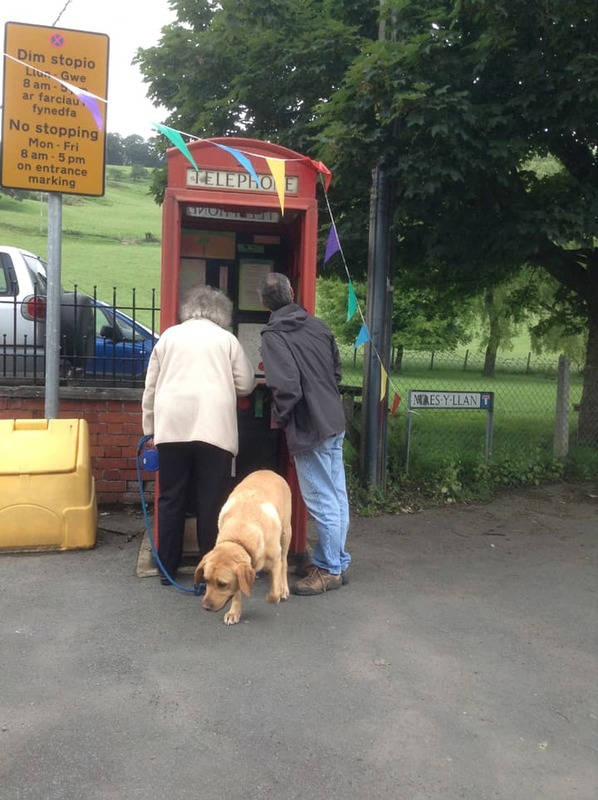 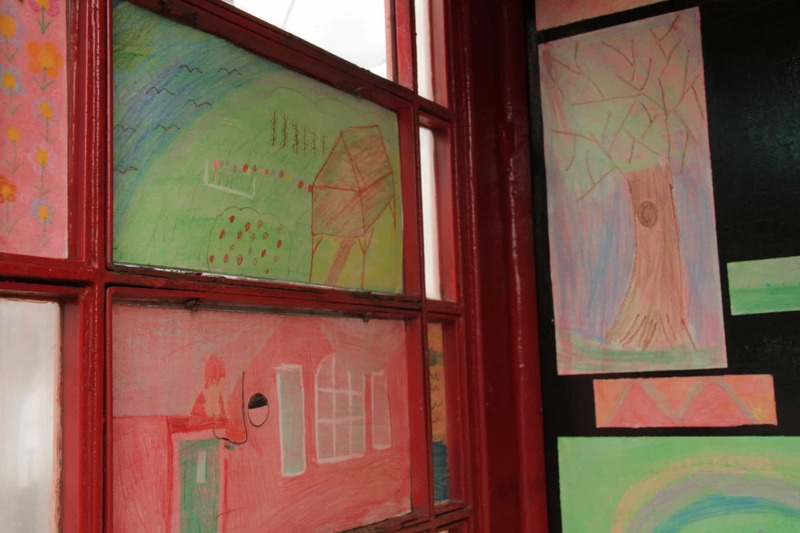 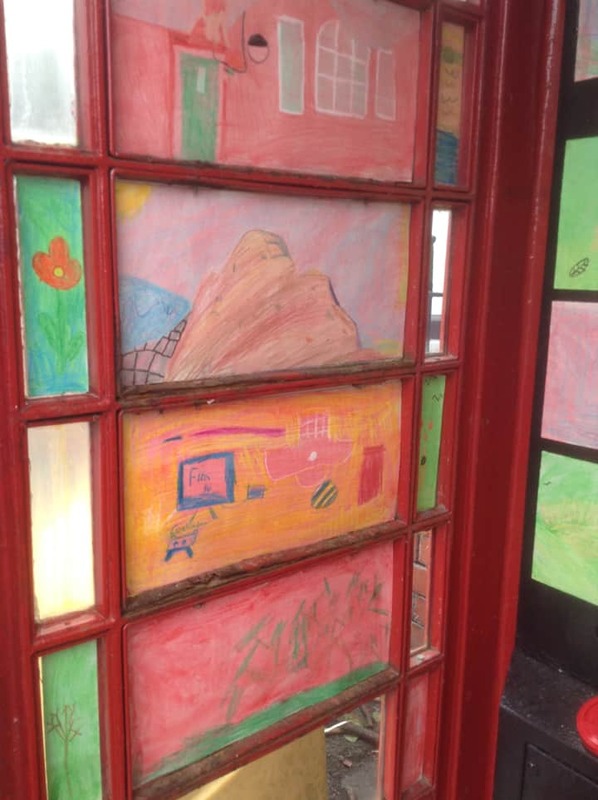 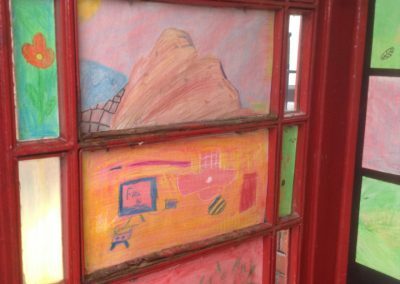 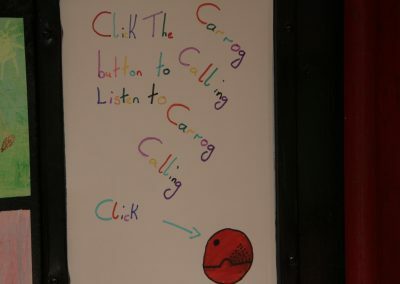 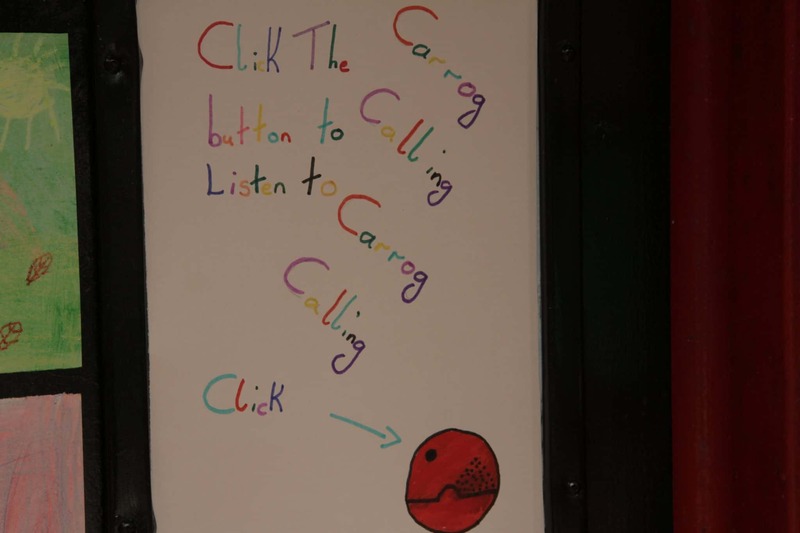 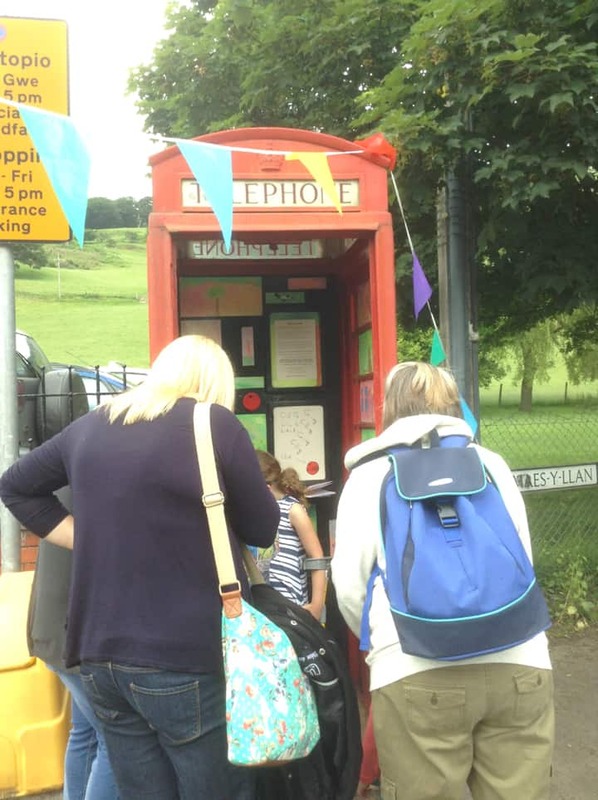 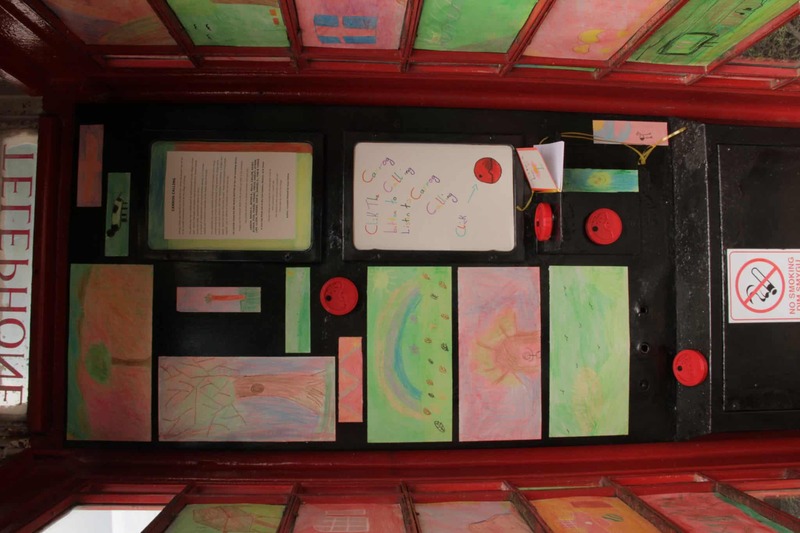 The grand opening of the exhibit took place at the Carrog Village Carnival on Saturday 18 June, giving maximum exposure to the project and inspiring other members of the community to re-evaluate the potential of the phone box. 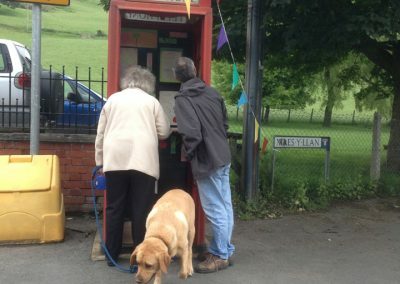 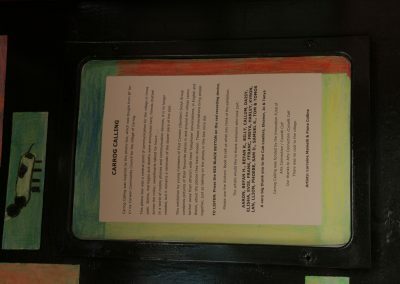 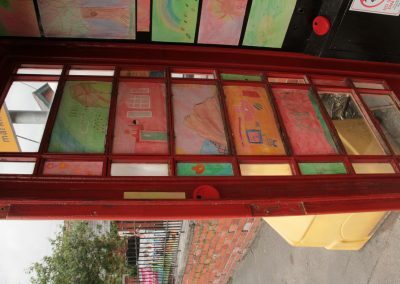 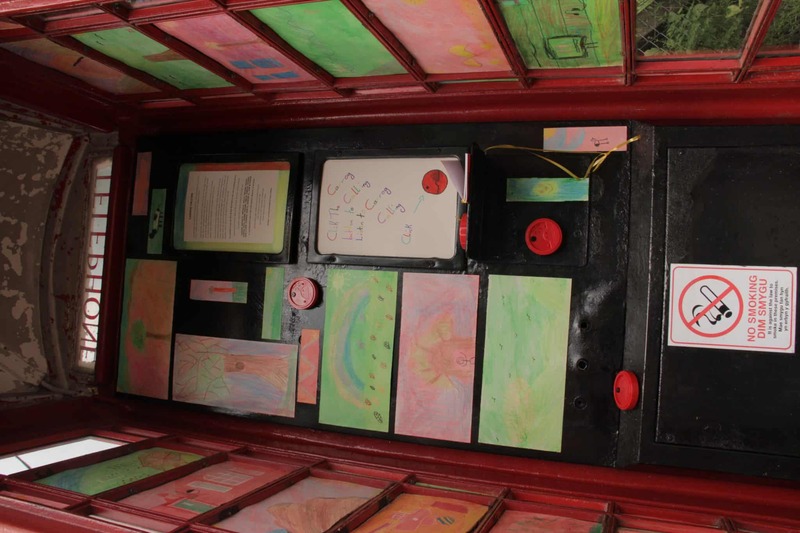 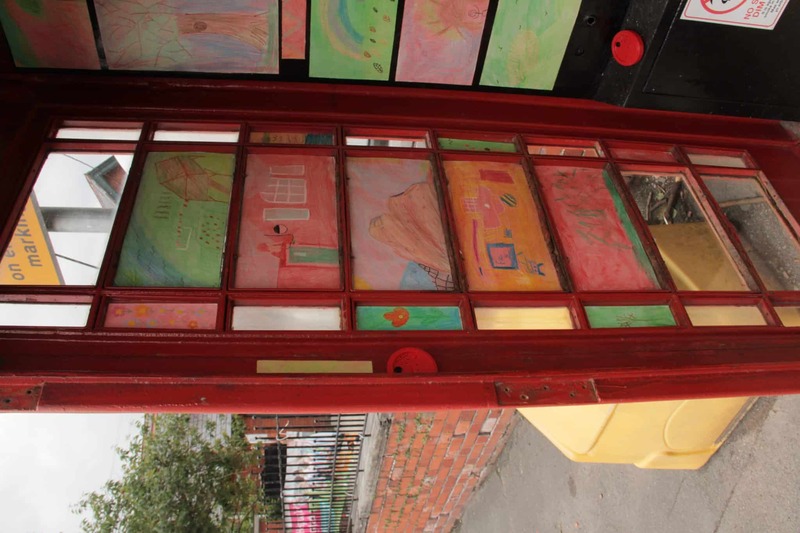 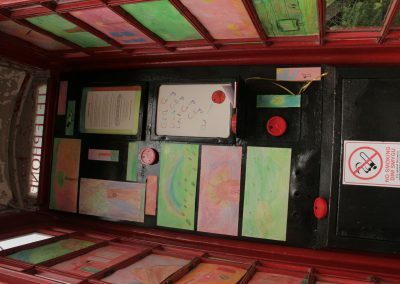 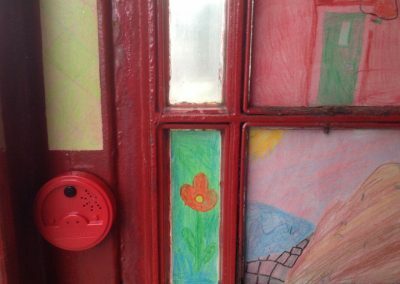 One of the main long term objectives & outcomes of the project would be to get people to take pride in the phone box and to want bring it back to life, generating interest in its history and historical importance, and turning what is now something of an eyesore, into an exciting and imaginative space. 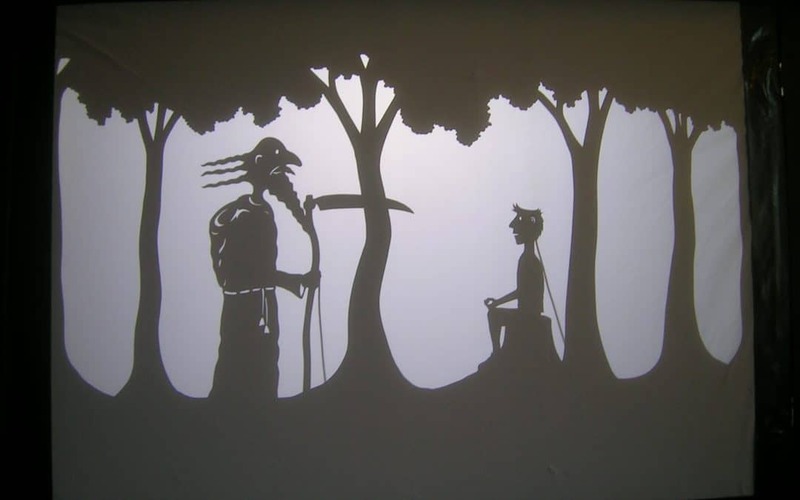 Artists Guy Levy and Juli Moran wanted to explore themes around death. 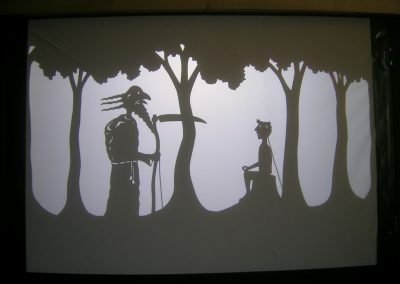 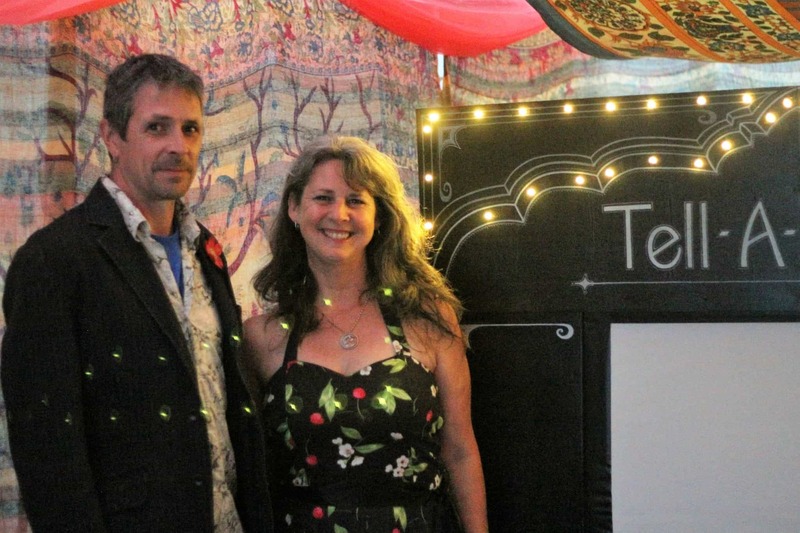 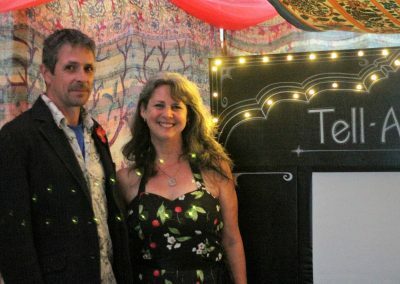 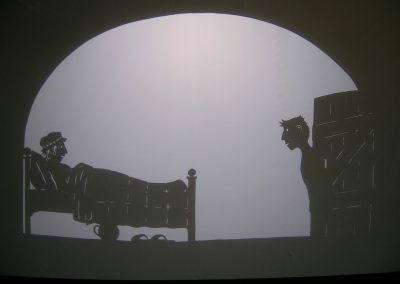 They looked at storytelling and shadow puppetry combined with a miniature mobile shadow theatre which enabled them to take their performance out to a community audience.